A never-ending conversation in our house is about what kind of pet we should/could buy (although in reality, we really shouldn’t get a pet). The options have varied from wiener dogs to ducks to chickens to goats. After our fair excursion, we decided a pig, most likely miniature to better suit our apartment, would be an excellent option. And what slubby creatures pigs are. 1. Pigs use their snouts to forage for food in the ground. All slubs know how to obtain food quickly and efficiently, and are not ashamed to use any means to do so. 2. Pigs are extremely intelligent. So are slubs. 3. 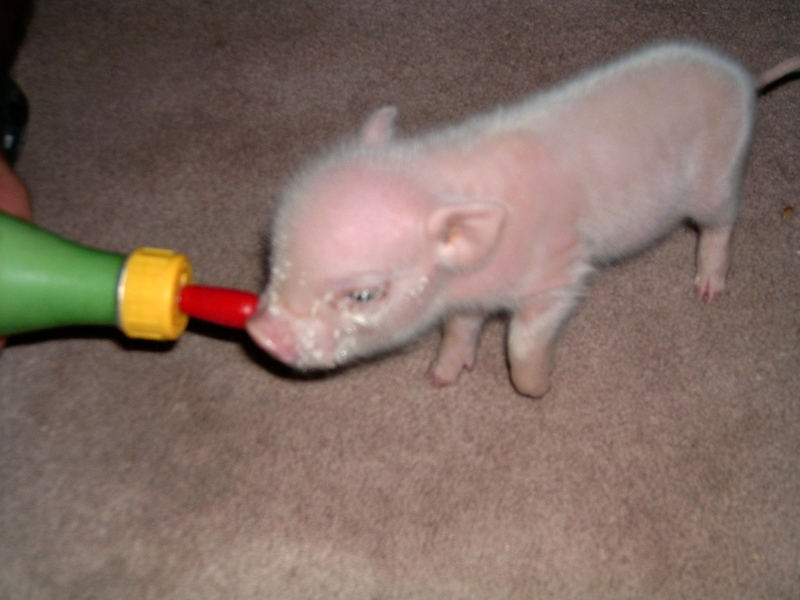 Pigs can be trained to perform tricks. Slubs have been known to perform such illusions as making entire cakes disappear. 5. Pigs can graze at pasture, like sheep or cattle, which reduces their environmental impact by decreasing grain inputs. Slubs love the environment. 6. Pigs are very social animals, often snuggling with their other pig friends while resting. Slubs cuddle. In their stretchy pants. 7. Apparently pigs sleep all the time. Sometimes they forage for food. Slubs want. So here’s to you, miniature pig, for being cute, for sleeping and eating all you want, for being intelligent, for rocking the curly tails, and for being the slubbiest creature this week! Categories: slub of the week | Tags: fair, pet, pigs, slub | Permalink. truth bomb: i cry during the national anthem. …but of course I did. No worries. Those of you who know me well can guess which card immediately went into the “no duh I value this” pile. Regardless of how dark our current political and economic outlook may be (which is an entirely different post), I legit bleed red, white and blue. The romantic ideal of freedom makes me want to do ridiculous things like cry during the national anthem and purchase an American flag to hang in my room (there is one for sale in an antique store near the Uptown house, if I’m forced to walk past it again I will buy it). My other four values were a lot harder to narrow down, and I spent a significant amount of time debating between 10 or so cards. The result is that I’m now extremely attached to my ideals regarding diversity, education, faith, and happiness. In some cheesy way, it feels like these five values are my personal form of identification – this is who I am, because this is what I believe in. But after my conversation with my boss I realized that, while it’s incredibly easy to wax poetic on my belief system, it’s much harder to make sure my actions reflect my sentiments. I’m particularly hung up on my last value. What the hell does happiness even mean, exactly? I really sucked at my philosophy and theory classes in college so I’m not even going to pretend to answer that question, but I think it’s worthwhile to put it out there. If I’m not completely happy all the time, then why is happiness a value that I resonate with so strongly? That’s not to say that I’m convinced I should be happy every moment of the day. No one, aside from maybe Amy Adams in Enchanted and Ryan from the Bachelorette, is all smiles and optimism 100% of the time. I think my roommates would hate me if I was like that. But the way I live my life definitely influences how happy I am, and thankfully, I get the pleasure of deciding just how I want to do that. I can choose the work I do, the books I read, the plans I make, the people I surround myself with. I can choose the goals I set and the things I say. I was blessed with the ability to choose my education, and I can choose how I wish to continue it. And if I truly value happiness, like I’d like to believe I do, then I must make those decisions based on what will lead me to the greatest joy. So that’s my ultimate goal for this year. I vow to document any revelations I have on the point as long as I remain a slub in the city. But for real, you should all narrow down you values right now and – fancy that! – I have the list for you! You officially have no excuse not to figure it out. Recommended course of action: In your first sweep of the list, cross out those values that don’t immediately resonate with you. Go with your gut. Then, narrow down all the values you didn’t cross out to 15, and then 10, and finally 5.
como siempre, con mi amor. Categories: adventures in existentialism | Tags: slub, values | Permalink. One day, while describing what I was wearing when I was asked to my senior prom, I created a word. Slub: A person who wears casual, pajama-like clothing. Slub: a lump in yarn or fabric, often made intentionally to give a knobbly effect. After that, we saw slub everywhere. Pottery Barn has Fabric by the Yard in Slubby Canvas and Slubby Basketweave. Banana Republic has the Cotton Slub Cardigan. Anthropologie has the Slubby Tulip Dress. Given it’s popularity, slub became a part of our St. Olaf senior year vernacular. We used it whenever the mood hit us. We were slubs, slubbin, and slubby. We slubbed. After Anna, Kat, Laura, Nora and I had decided to create a blog that would document our lives from graduation up until one year after college (and perhaps beyond), we unanimously and almost instantaneously agreed on a title for that blog. So welcome to slubs in the city. I think that definition suits the five of us slubs perfectly. I’m so glad that you’re here. Check this blog often. I promise we won’t disappoint. Categories: the beginning | Tags: about the slubs, what is a slub? | Permalink.